Fostering success in the arts, at school and in life! A Dance and Music Studio Unlike Any Other! Check Out Our Latest Updated Schedule! Call Today To Book Your Free Trial Lesson! My children are learning dance and music from the best in the business but more importantly, they are learning independence, grace, courage, stamina and kindness. Directors Steve and Angela have provided all of us a place to grow artistically and they encourage each person that walks through their doors to be their best selves every day. They have a professional teacher staff, handpicked by the directors for their warmth, skills and significant performance experience. The music center was a bonus for me for my daughter’s interest in playing piano and performing in concert, all coordinated thru this one inclusive studio. You can't sing one note or dance one step without all the teachers noticing you because everyone at studio gets noticed. I love being a part of the Competition team. It keeps me busy in a good way and the extra classes are also amazing. I love D'Valda and Sirico! 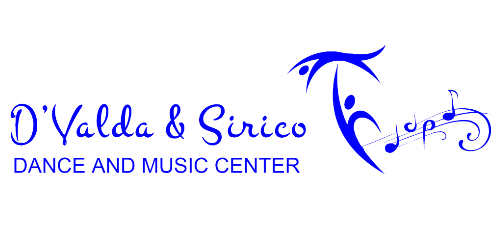 The D’Valda & Sirico Dance and Music Centre mission is to be a supportive, nurturing, family-focused environment for teaching valuable life skills to children and young adults by providing professional quality training in dance and music.